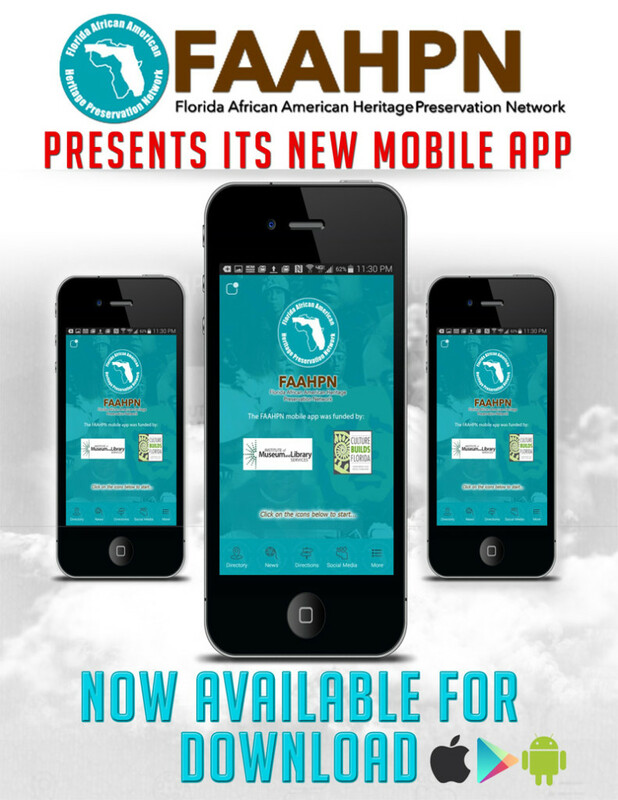 This app is the official mobile app for the Florida African American Heritage Preservation Network (FAAHPN). It is your guide to the African American museums and historical institutions throughout the state of Florida that are members of FAAHPN. Our mission is to promote the preservation of African-American landmarks and legacies and assist statewide museums in discovering, archiving and illuminating the blended interrelationships of African-American, Native American and Europeans as an enduring public resource through tourism and education. General Information: Overview, contact information and photo(s) for over 40 museums, historical sites, and HBCUs. GPS Directions: turn-by-turn directions from anywhere in the world. One Touch Calling: call FAAHPN members without having to save phone numbers. Social Media Sharing: visitors can post comments, feedback, and share the app on various social networks. Real-time Notifications: opt-in to receive up-to-date information about FAAHPN news and events. News & Updates: learn about current exhibits and events within FAAHPN.